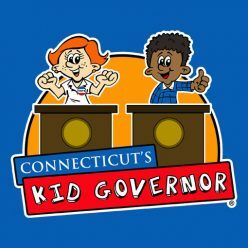 The Kid Governor’s® Cabinet consists of the Kid Governor and the six final candidates who counsel and advise the Kid Governor throughout his or her term. The Cabinet meets periodically in the Kid Governor’s Office during the Kid Governor’s term in office. The Cabinet uses these meetings to discuss how they can support the Kid Governor’s campaign initiatives in their own communities and raise awareness for the Kid Governor’s platform across the state. 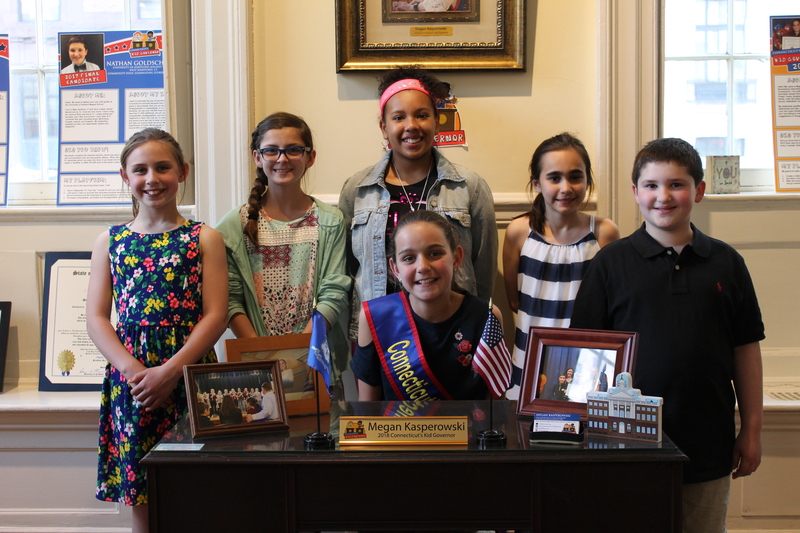 Cabinet members also contribute posts to the Kid Governor’s blog– click here to read more on Megan’s blog, Stronger Than Cancer: Lifting Spirits & Changing Lives. Watch A’aliyah’s campaign video here. Watch Dillon’s campaign video here. Watch Gwyn’s campaign video here. Read Gwyn’s blog post here. “My name is Liliana and I am a 5th grader at Plantsville Elementary School. I live in Southington, Connecticut with my mother, father, and younger brother, Lucas. I enjoy being involved in many activities, such as soccer, Drama Club, Girl Scouts, Chamber Singers, and Ski Club. I continute to develop my leadership skills through these activities, as well as through STEPS and Safety Patrol. I am committed, passionate, very organized, and have good time management. Watch Liliana’s campaign video here. Read Liliana’s blog post here. Watch Madison’s campaign video here. Watch Nathan’s campaign video here.